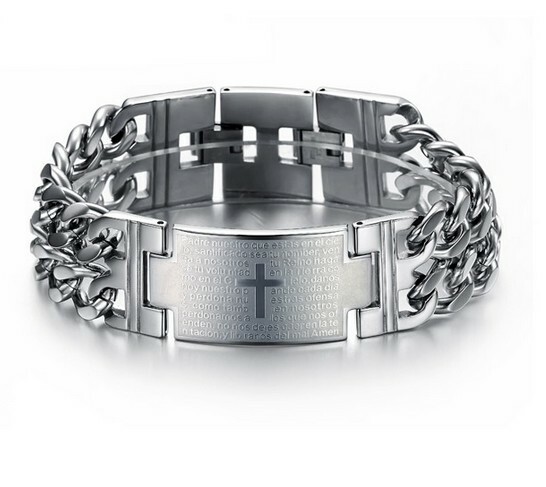 "Stainless Steel Chain Link Cross Bracelet by Be'Steele. Mighty Good Man, timeless gentlemans fashion. 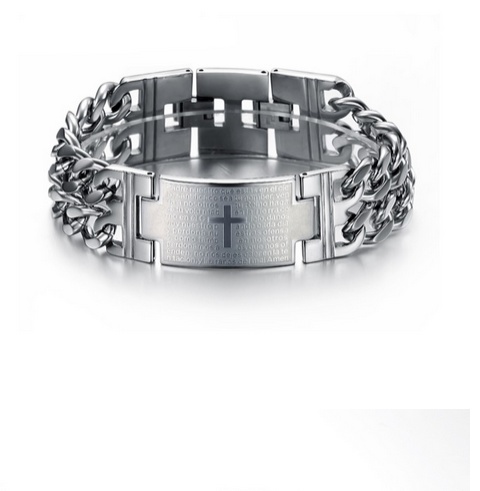 Free shipping from 2 items ordered | rated 9.0 by our customers"
Tough looking Stainless Steel Cross Men's Wristband. Stainless steel is back and instantly gives a tough look. 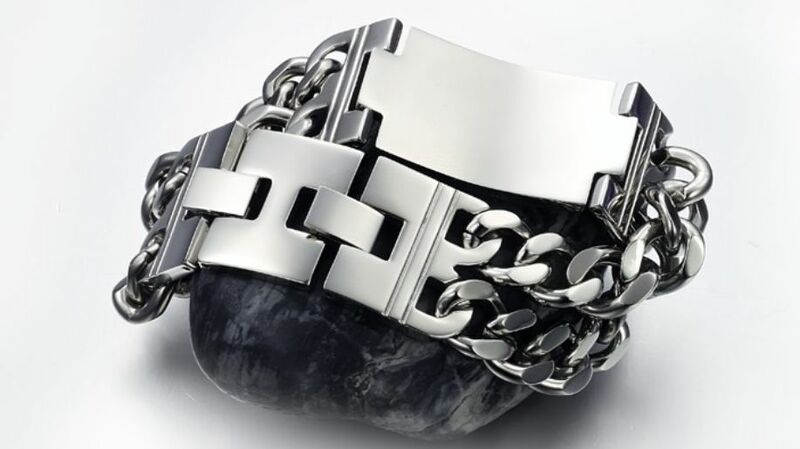 This wide bracelet gives you a full wrist with shiny steel. 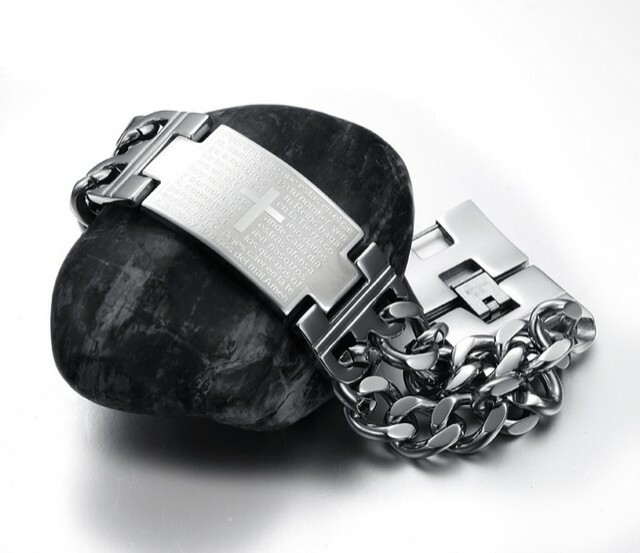 These Stainless Steel Men's Bracelets by Be'Steel are 22cm long so fits most wrists and made with rugged Stainless Steel Chain Links. Total 22.5mm wide. Buy it now or place it in your shopping cart and continue shopping for a complete look. Tevredenheid. De armband was perfect , zeker met de ingegraveerde text aan de bovenkant.